Garden Value Promotion!… for a limited time! Starting from $272 per person, double occupancy (round trip inter island flight & 1 hotel nights.). Breakfast Package Promotion!… for a limited time! Starting from $298 per person, double occupancy (round trip inter island flight & 1 hotel nights.). 5th Night Free Promotion!… for a limited time! 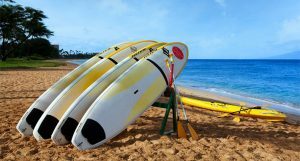 Starting from $614 per person, double occupancy (round trip inter island flight & 5 hotel nights.). 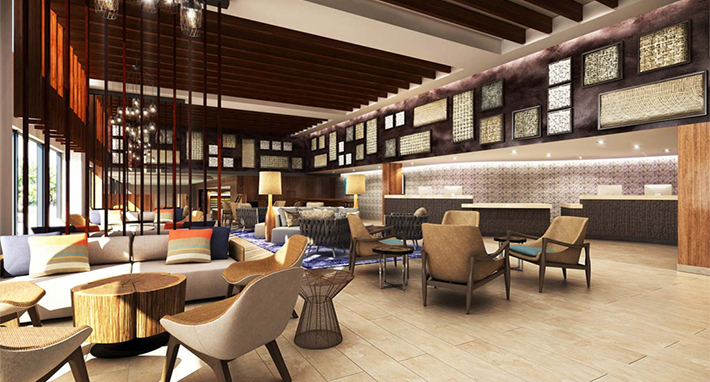 The Hilton Garden Inn Waikiki Beach is the newly renovated hotel to grace the revitalized Waikiki experience and the largest Hilton Garden Inn in the world. 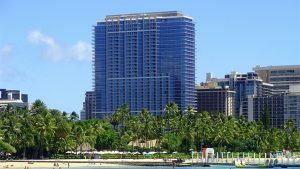 Located in the heart of Waikiki’s high-energy district, next to the brand new International Market Place, where dining, local attractions, entertainment, and Hawaii’s most popular beach are just steps away. 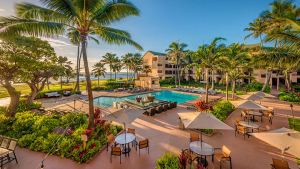 Contemporary furnishings and high-tech amenities are designed to keep guests comfortable and connected while the Hawaiian-influenced design aesthetic is certain to ease the mind and rejuvenate the soul. Property amenities include a medium sized outdoor pool, sun deck and Cabanas, a poolside bar. Other amenities include a lobby coffee bar, luggage storage, 24 hour front desk, valet parking (fee), ATM Machine, Interior Corridors with Secured Hotel and guest rooms and more. 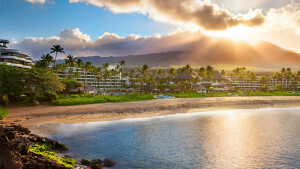 Starting from price based on air from Kauai (Lihue) and Maui (Kahului). Car rental and other destination services/activities also available at additional cost. Travel beyond December 15, 2017 may result in higher fares. Prices vary and are subject to change without notice. Offer is based on availability and restrictions may apply.